First and foremost, some disclosure; I offer domain name registration services via the website www.customerloyaltydomains.com. I am a reseller of Godaddy domain name services. I tell you this because I believe it’s important to be transparent with you, my readers, and so that you know I am not intentionally hiding information and take advantage of you. Unfortunately, I cannot say the same for some of the other domain name service providers. As one who provides domain name sales and services I see a lot of misinformation from other less experienced and scrupulous domain service providers, complete ignorance from domain name owners, and scams from people trying to steal your brand name’s intellectual property. Your domain name is a vital business asset. It’s your brand, a huge part of your corporate identity, and you need to protect it. One of my first experiences with the dark side of the domain name business was with a shady domain name reseller and web site developer. A drycleaner had hired a person to build a website for his cleaners, and had entrusted this web developer with the log in details to his domain name administration account. This drycleaner was moving to a new website, and the previous website developer was rather upset to be losing this customer. The shady web site developer logged into the drycleaner’s domain name administration panel, and changed the password on the account, effectively locking the drycleaner out of his account, and locking the dry cleaner out of being able to do anything with his domain name, including repointing the domain to his new web site. The shady web site developer went so far as to demand payment to restore account control to the drycleaner, and rightful owner of the domain name. We had to go so far as to call in the Police and file charges of theft of intellectual property. It was ugly, but after a few months, ownership was restored. So, a lesson to be learned, DO NOT give out your user name and password to your domain name administration account unless it is to someone you trust very VERY much. There are now procedures and processes in place to prevent you from having to give out your confidential user name and password to your domain name account. One of the features I like about the service I resell offers what is known as a domain name executive account. This is a SUB account under your domain name account where you can transfer SELECT permissions to your web site developer so they can do their job of pointing your domain name to the webserver where your web site files are stored. All other critical administration functions such as who is the registrant (legal owner) of the domain name are kept OUT of the hands of anyone except the right domain name owner. This ensures that your domain name will remain your domain name and your webmaster can do the work he needs to do, and you can always remove the executive permissions of the web master if you need to fire or replace them. This one feature alone will ensure your domain name cannot be taken or moved away from you without your consent. You likely don’t give just anyone access to the corporate bank account and check book, so it’s really in your best interests to invest just a little bit of time into learning how to administer your domain name. It’s fairly simply to keep on top of filling out four forms, and then keep your e-mail address current with your domain account. There is an annual requirement from ICANN that you verify that you are a real person and that you are responsible for the domain name, which is another reason why you need to keep your e-mail address current. Once a year ICANN will ask you to click a link to prove you exist and agree to their terms and conditions. One last good reason to keep your e-mail address current is if you DO forget your password, you can save a lot of paperwork, scanning corporate documents and driver’s license then submitting them to proper authorities to regain access to your domain name account. Most domain name administration systems will e-mail you a new password if you forget, so keep that e-mail address updated if you switch e-mail addresses. Lastly, be VERY VERY careful about any letters or e-mails that come your way asking to renew your domain name registration. 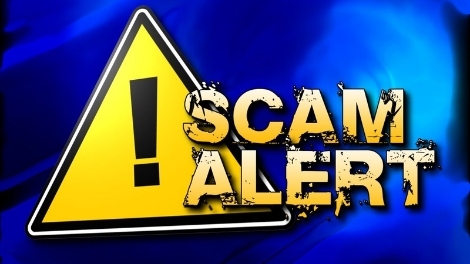 There is a common scam going around where a domain name service sends you an e-mail message advising you that someone or some company in China is attempting to register a domain name similar or identical to yours. In all honestly, who really cares if some company in China wants to register ‘SAMEasYOURdomainNAME.cn’? If you do care, I must warn you, there are a lot more domain name service companies that will be happy to register your domain name in China, and for a lot less money than you will pay these scammers. Here is a screenshot of one such e-mail I’ve received. There is another company that is sending domain renewal bills that look really convincing. They prey on inexperience and ignorance to make their money. They send out letters just like this one. Notice this letter says it is NOT a bill, and just an invitation to switch domain name registrant companies. Well, you can switch your Registrar at any time, and would strongly recommend any other company than this company. I have had a couple clients fall prey to this letter, they renewed for the maximum term at a rate more than twice than what I charge. I don’t want to see anyone who reads this publication lose their domain name, or fall prey to scammers and tricksters, so, as a courtesy, I am offering to make myself available via telephone or e-mail for your questions about domain names. Should you ever have a question, or a concern, please reach out to me and I’ll be happy to answer. There is absolutely no charge for this, and no obligation, you don’t even have to be my customer, it’s absolutely free. And if you happen to need to register a few domains, well, I’d be happy to accommodate that as well.